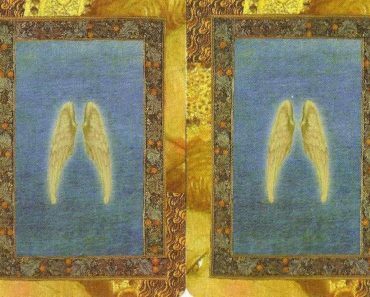 Doreen: Trust and follow your intuition It is God and the Angels talking to you. Glenn: You are not alone. There is a presence in your life that exists to guide you towards success. The messages come in many ways, and perhaps are different than your expectations and focus. Learn to approach incoming information from a neutral position and then begin to follow your heart as well as your plans. Doreen: You are guided to be very honest with yourself, and to be true to yourself in all of your activities and actions. Glenn: Deep within your core, you know who you are. You know what feels right and what does not. You know which topics raise your energy and which ones brings you down. As you progress through this week, heighten your awareness of your internal compass. Remain aware of those feelings triggered by emotional attachment to stories and choose to look deeper. Your intuition gives you a ‘gut feel’ that tells you very clearly which decisions serve your higher purpose. Doreen: Let go and allow God and the Angels to help you. Everything that you release will either be replaced by something better or will be returned to you as healed. Glenn: There is great power in letting things go. Once you have stated your desires to the universe; once you have taken the actions that are available to you; it is time to let go. Let the pink bubble of hope drift away with the breeze and trust that your higher purpose will be served. Discard expectations of outcome and know that there are many paths for you. Allow that the bigger picture of your life may not include all of your desires. Continue to create, continue to express, and then let it go. If it comes back you will know it was meant to be. The information this week is all guidance towards being in the moment. Trust that you are on the right path already, and trust that the paths that open up will be fun and fulfilling. In the meantime, your work this week is primarily to maintain detachment from outcome. Instead, focus on your well-being and highest vibration. Step forward with joy and trust that your guides will knock if you are missing something interesting.